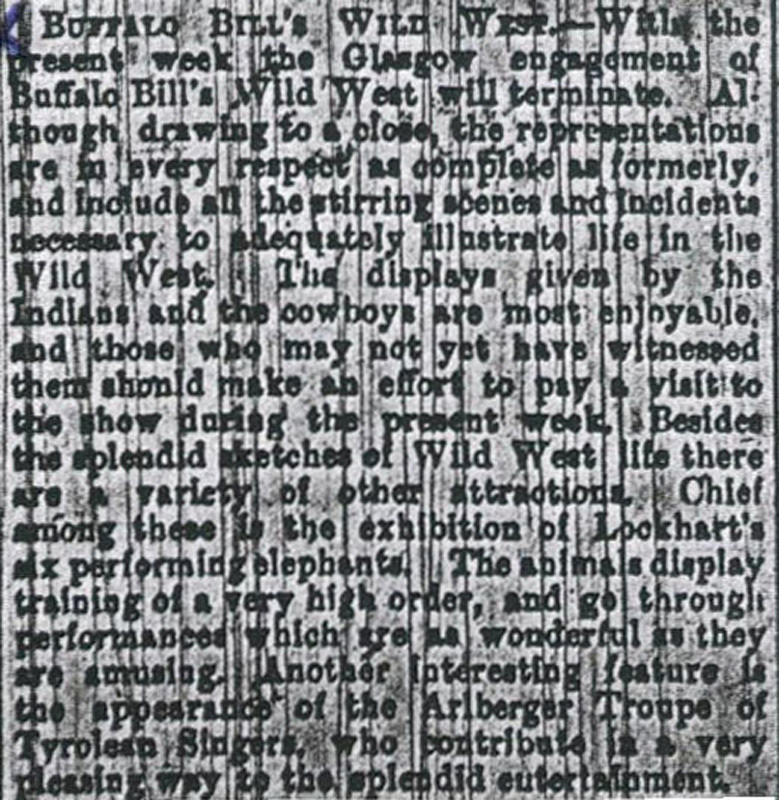 BUFFALO BILL'S WILD WEST.—With the present week the Glasgow engagement of Buffalo Bill's Wild West will terminate. Although drawing to a close, the representations are in every respect as complete as formerly, and include all the stirring scenes and incidents necessary to adequately illustrate life in the Wild West. 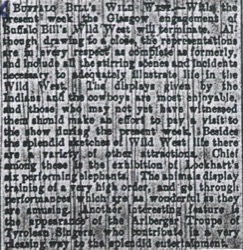 The displays given by the Indians and the cowboys are most enjoyable, and those who may not yet have witnessed them should make an effort to pay a visit to the show to-day. Besides the splendid sketches of Wild West life there are a variety of other attractions. Chief among these is the exhibition of Lockhart's six performing elephants. The animals display training of a very high order, and go through performances which are as wonderful as they are amusing. Another interesting feature is the appearance of the Arlberger Troupe of Tyrolean Singers, who contribute in a very pleasing way to the splendid entertainment.